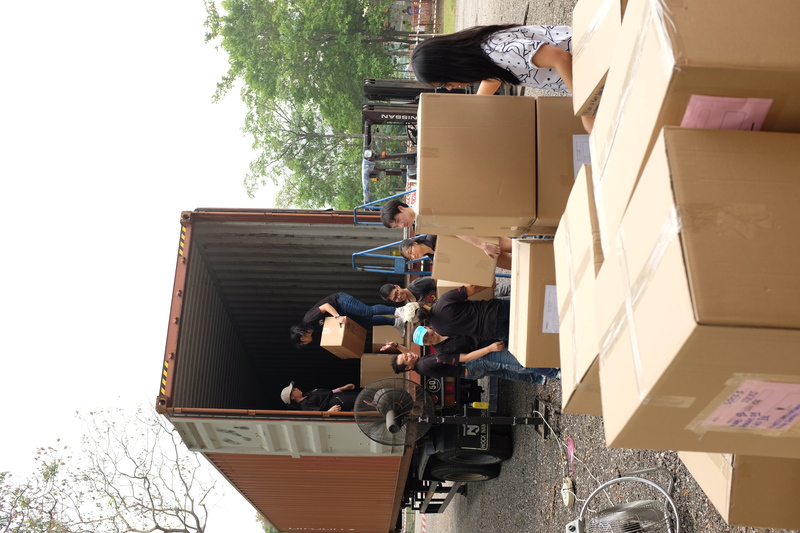 Within three short days, Singapore donors and volunteers collected winter supplies that exceeds a 40-foot container to be shipped to a remote village in Northern Thailand. About 100 of Singapore youths and residents, and 20 Thai students studying in Singapore volunteered in this effort. Project Lives, organised annually by Radion International, collects essential supplies that will help needy tribal communities, brace for the winter season. During winter, the temperature drops to about 2°C and many villagers are ill-prepared to face this harsh weather. “The villagers in Phetchabun may not have been to Singapore but they know Singapore very well. 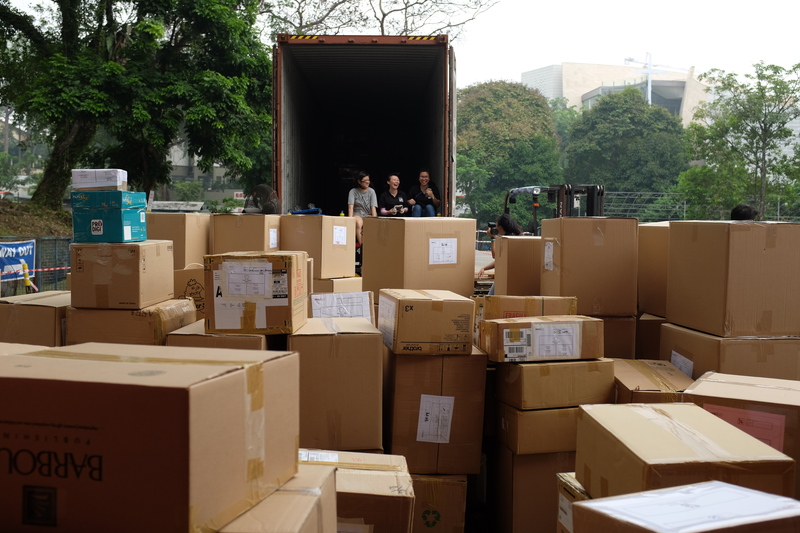 Every year, they look forward to a 40-foot container of love and care that arrives from Singapore,” said Eugene Wee, founder and director of Radion International. “Most of the supplies that we collect are fast moving, so we need to replenish them every year, especially when needs are so immense. A 40-foot container is larger than it sounds. 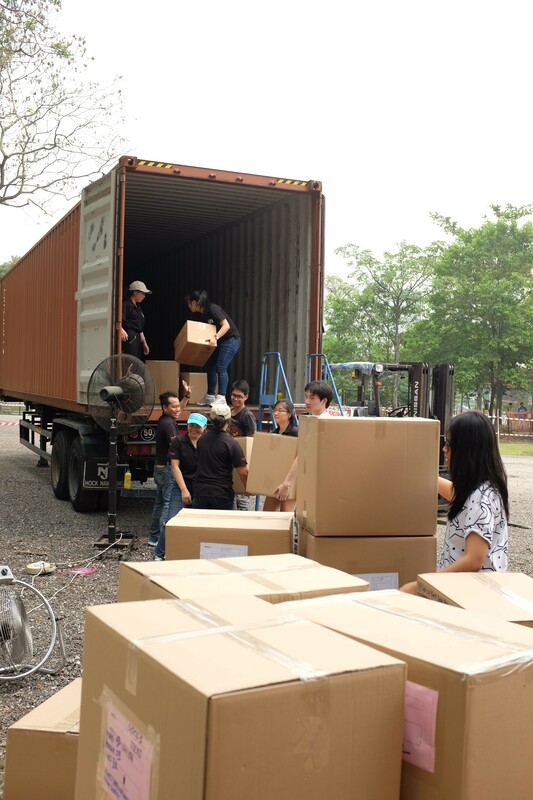 However, this year and as always, we completely filled the container and more – thanks to the generosity of Singaporeans, residents in Singapore and Singapore companies,” Mr Wee added. For the first time, representative from the Thai Embassy to Singapore attended the event as a Guest of Honour. Minister and Deputy Chief of Mission, Mr Chairat Sirivat together with Radion International celebrity supporter Ms. Vernetta Lopez, together officiated Project Lives 2015 at Treetop@SCAPE on 16 October. For the first time also, the Thai Student Society in Singapore participated in Project Lives as volunteers. Project Lives is part of Radion International’s relief & development programme in aid of needy Thai communities in Northern Thailand. Through Project Lives and ongoing volunteer programmes, Radion International has been building deeper cultural understanding and partnership between people in Singapore and the local Thai community. “For eight years we have been consistently reaching out to the community and beyond, first addressing immediate needs, and now addressing deeper issues of community development. We operate a lean organisation, so a lot of our efforts are made possible by building a cultural connection between volunteers from Singapore and the Thai community,” Mr Wee said. Every year, at least 100 volunteers from Singapore make 12 trips to Radion’s field office in Phetchabun or its headquarters in Chiang Mai. Volunteers participate in children’s camps, community education, community medical projects, sanitation projects, elderly care visits, and even the rescue of at-risk children. A core group of volunteers in Singapore manage the awareness and operational needs. “Many of our volunteers have come back a few times! Their dedication and love for a people so far remote from their daily lives in affluent Singapore – this encourages us to go on,” Mr Wee added. Project LIVES! 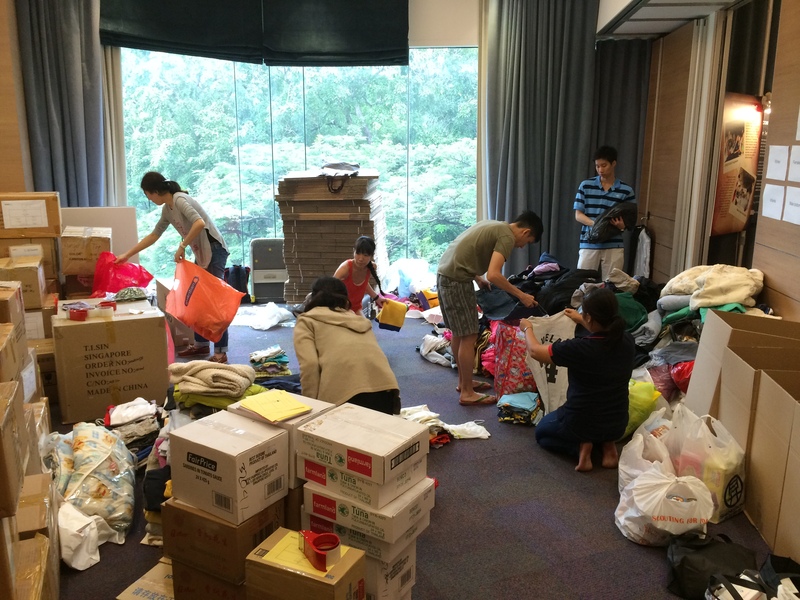 2015 public collection was held at Treetop@SCAPE L5 on 16-17 October, while the packing and shipping was completed on 18 October at the Salvation Army @ 356 Tanglin Road. Supplies collected included: Winter wear/ warm clothing, blankets, toiletries (shampoo, body wash, tooth brush, tooth paste, etc), medical supplies (first aid items, etc), canned food and used mobile phones and tablets – to be sold to offset shipping costs.Project LIVES! is held annually, as part of RADION International’s community development programme in Northern Thailand. Through Project LIVES! and other volunteer programmes, RADION International connects Singaporeans with a remote communities in neighbouring Thailand to build deeper cultural understanding and partnership. RADION International is a Christian relief and development agency founded in Singapore.RADION International helps communities living in the fringes of society that are under-reached. The organisation’s activities are mostly based in Northern Thailand, where it is involved in child rescue and rehabilitation care, food augmentation and medical aid, community education and development, and training programmes for individual empowerment.